T&Cs apply. 18+. New customers only. 18+. Min odds Evs. First bet only. 30 days to qualify. Free bets expire in 7 days. Payment method restrictions. IRE/NI customers only. T&Cs apply. First bet refunded if you lose - up to £50. Available to new players only. Matched bet paid as a bonus token. First bet only. Begambleaware. 18+. T&Cs apply. Free bets are perhaps the best thing you can stumble across when it comes to online betting. They’re quick, simple, and you can pretty much sign up with any top UK bookmaker to get one You’ll find a number of free bets across the online betting world, most of which are featured above. We pride ourselves at thatsagoal on bringing you the finest free bets and enhanced odds offers from across the web, so you’re always in with a chance of making the most out of your bet. Free bets are generally a stake given to you in which you can place for free on a betting market. They come in all different shapes, sizes, and will all have different terms and conditions. Most commonly, you’ll have to make a deposit for the first time and the bookmaker will match that deposit with a free bet of the same value. These Welcome Offers are very common, although as you will see from the offers we have above there are a range of promotions available. Welcome Offers: While not exactly a free bet, you will get something for nothing. Bookmakers will more often than not match your deposit. So if you deposit and bet £20, you’ll also be handed a £20 free bet. Free Bet No Deposit: Unlike Welcome Offers, a No Deposit Free Bet, gives you a stake to bet for free without the need of making a deposit. Win something for nothing. Simple. First Bet Refund: Nobody likes to lose, so some bookmakers offer a refund if your first bet fails to cash in. It’s a risk free bet, and either way you win. Newcomers will also be regularly offered enhanced odds on sign-up. These will generally be short odds turned into larger odds. For example, the clear favourite for the Premier League having their odds enhanced from 2/1 to 5/1. They’re well worth cashing in on and at thatsagoal we seek out all the best ones for you to make the most of. Throughout the season existing customers will also be offered a series of enhanced odds with bookies such as Paddy Power and William Hill regularly treating punters to a no-brainer bet. Extra winnings will often be handed back in free bets, although some will also hand those winnings out in cash. It’s well worth checking the terms and conditions of any Enhanced Odds offer or Free Bet. 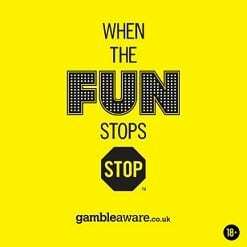 Depending on terms and conditions, you can generally qualify for Free Bets or Enhanced Odds by following a promotional link and signing up. In many cases, existing customers won’t receive these benefits. Once through the registration page, you’ll usually have to make a deposit, sometimes a bet, and then your Free Bets will make their way into your account. You will often receive Free Bets at different times depending on bookmaker. In some cases you will earn your bet after making a number of bets, while others you may not be able to withdraw winnings until you’ve hit a certain number of bets. The same with Enhanced Odds. While the odds may now be higher for you, you make only receive the extra winnings back as a free bet, where there then may be a requirement to meet before withdrawing further winnings. The simple step is to check the terms and conditions. Bookmakers are usually fairly clear with them, and with all our offers in one place it’s incredibly simple to shop around and find the best betting promotion for you. Free Bets are fantastic, but not if you squander them. You only get once chance of a Free Bet with a bookmaker’s sign up offer so it’s important you use it wisely. At thatsagoal, our expert tips mean you will do just that. Whether you’re fancying betting on an accumulator, or looking for the best markets on Both Teams to Score and Both Teams to Score and Win, we have all the latest tips and offers for you. If you fancy going it alone, studying the field is very important. Making football predictions isn’t easy, it’s why so many customers trust our expert tips. Check the form of teams, research any injuries, and view the head-to-head stats between the teams facing off.